This is a good option for a gluten free dish. 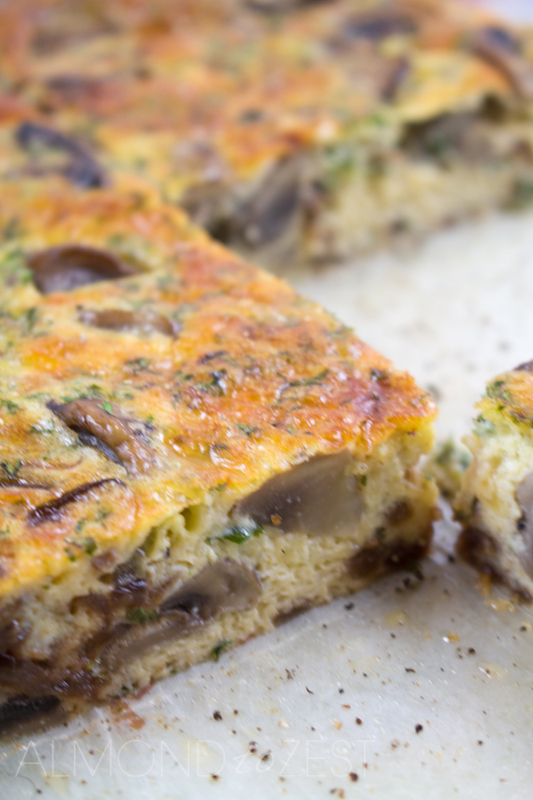 Quick and easy this crustless quiche is a great on the run breakfast option. This week one of the posts that I shared with you was how to whip up a batch of my morish caramelized onions. If you missed this post you can check it out in HOW TO: CARAMELISED ONIONS. As mentioned in the post these caramelized onions can be used in all kinds of delish ways. Trust me I have tried these glossy squiggles in pretty much everything imaginable. 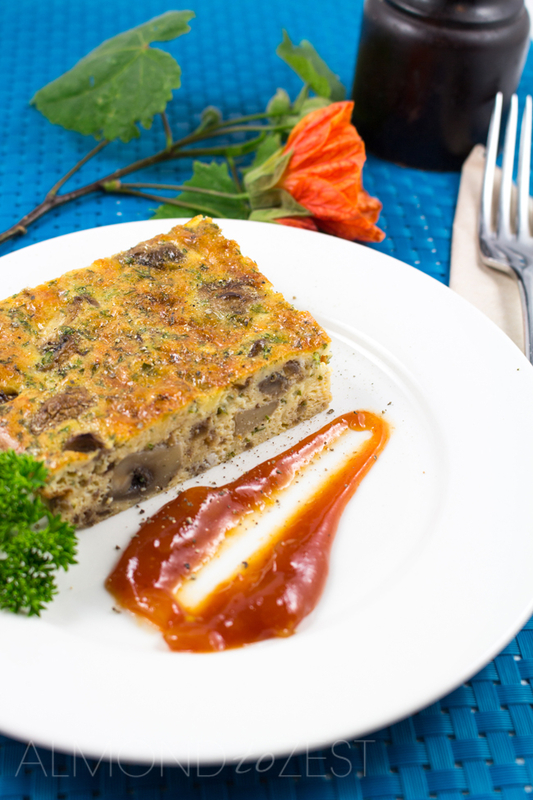 But today I’m going to give you a recipe that will jazz up your breakfast life forever. 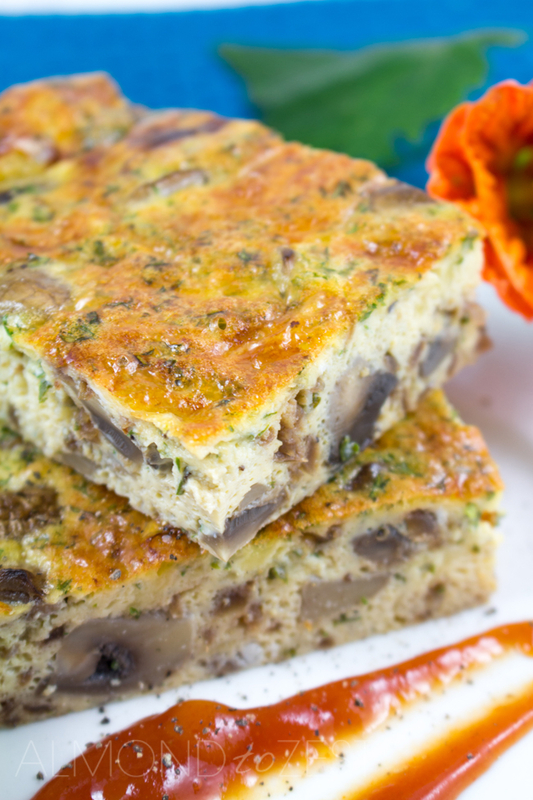 Mushrooms have got to be one of my favorite breakfast veg. Sautéed to a tasty package, bursting with mouth dripping juices in every bite. I’m seriously drooling just thinking about them. I love those little fungi growths. I can’t think of a better way to eat these juicy morsels than to mix them with my drool worthy caramelized onions. And then bake them in the oven In a creamy, cheesy egg bake, till golden brown. How good does this sound? 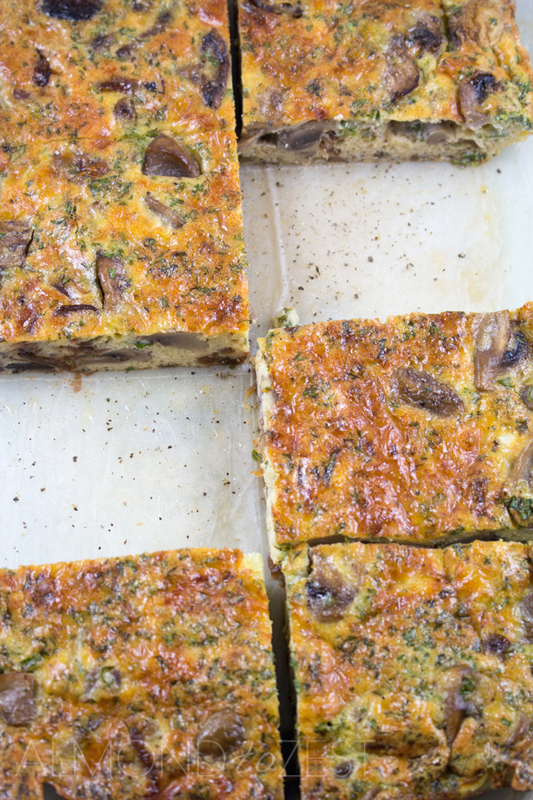 This crustless quiche can be eaten hot or cold. It is also a great dish to have for lunch or dinner when served with side dishes. I personally love to grab a piece, smother it in chutney and run out the door. It will keep for 3 days in an airtight container and kept in the fridge. Heat oven to 180C and line a 11” x 7” glass baking dish or similar with parchment paper. 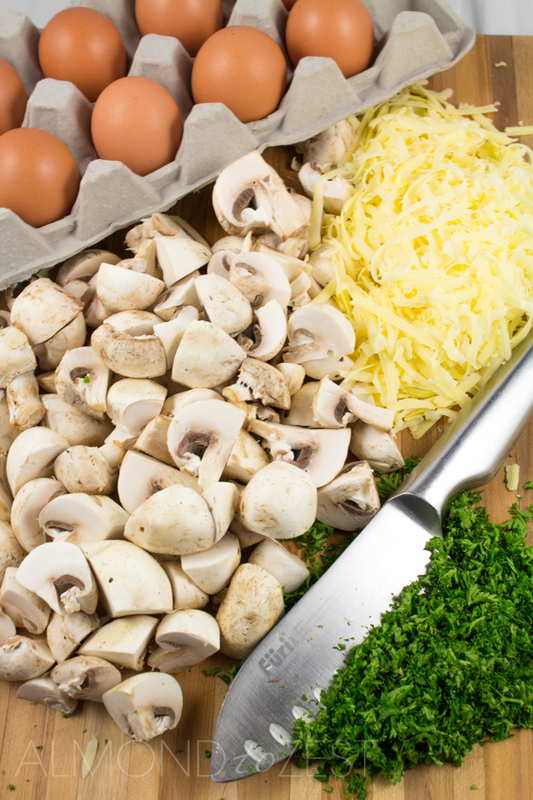 In a medium to large saucepan heat the olive oil and sauté the button mushrooms until tender. Spread the mushrooms and caramelized onions over the baking dish. In a mixing bowl whisk together the eggs and cream. Add the cheese and the chopped parsley. Season and sir. 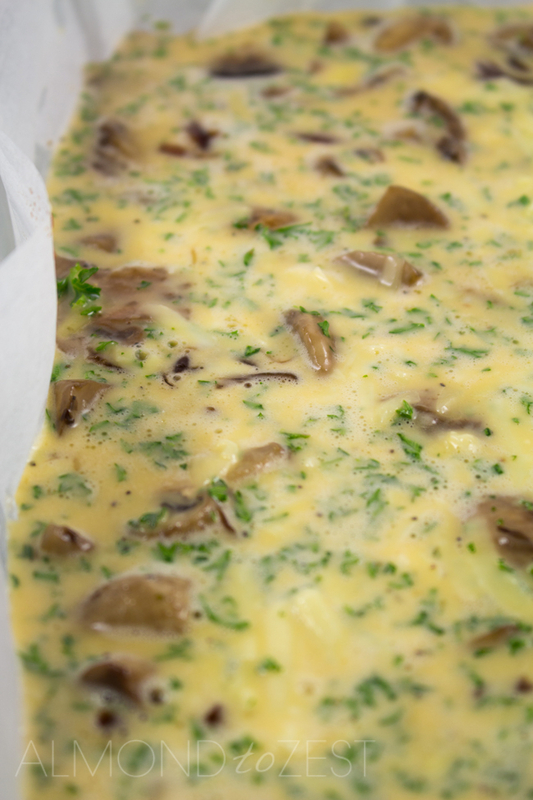 Pour this mix over the mushrooms and onions in the baking tray and put in oven for 18 minutes. You can allow to stand for 5 minutes before serving hot, or allow to come to room temperature and slice up into nice little squares.